I can see the light darkness again. 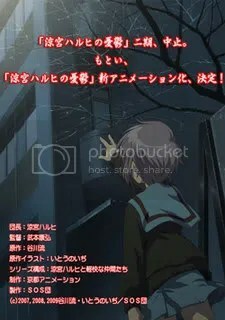 T^T lol After year of Kadokawa’s trolls, the details of Haruhi second series have been brought to light the epic trolls continue with the recent Newtype commercial for its March issue. 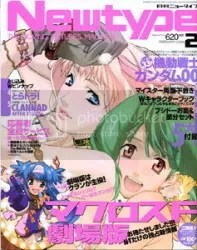 So Kadokawa is really serious with their promise to give out the much awaited details in Newtype February issue and also with making fun of us. 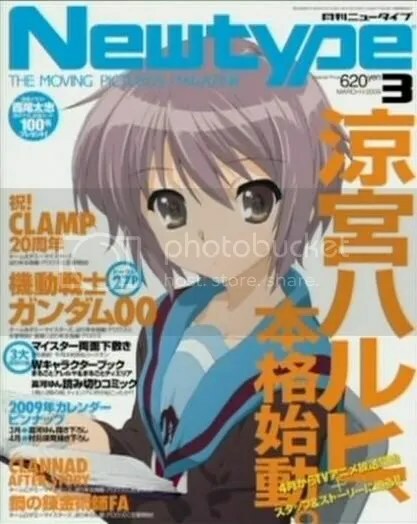 According to the commercial of Newtype for its upcoming March issue, the mag will include interviews with the episode director and “Brigade Leader’s Assistant” Yasuhiro Takemoto. For those who can’t access Nico Nico Douga. 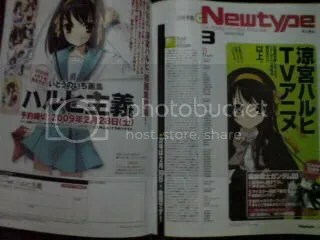 Let’s just wait for the Newtype issue for further details; it will be released on February 10. 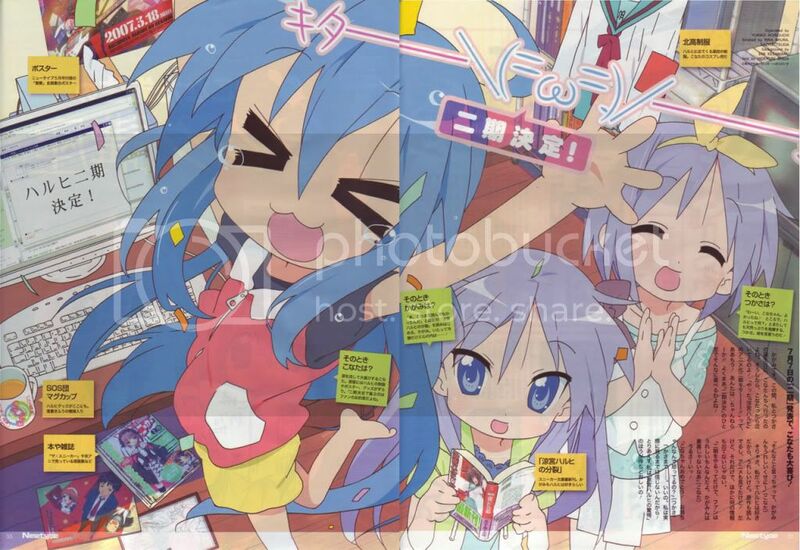 This is but another of Kadokawa’s epic trolls. NO SECOND SERIES this April, just a RE-AIRING of the first one, as confirmed here.